Regulator/ Rectifier Unit - Single Phase 12volt 200watt. Replaces Problematic Zener Diode And Lucas Rectifier For Even Reliable Charging. Electronic Ignition. 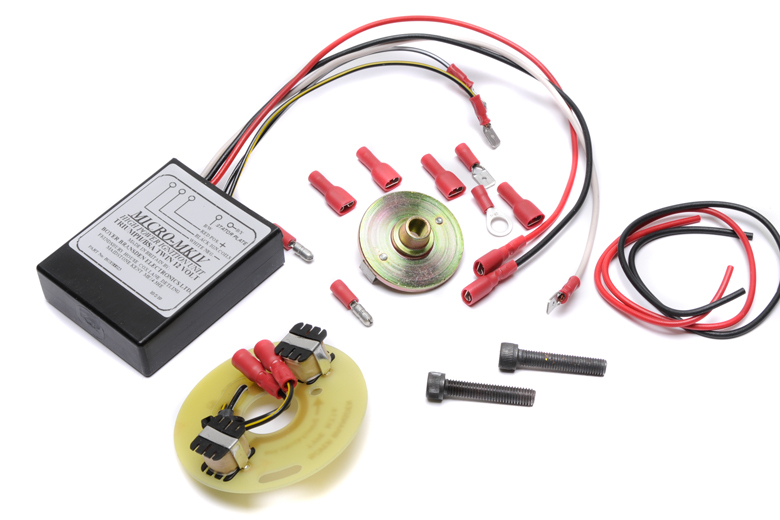 Boyer Brandsden MKIII Ignition Kit For Triumph And BSA Unit Twins With 12volt Electrical Systems. Eliminates Stock Points System Providing Precise Timing For More Even Idle And Throttle Response. To Provide Best Results It Is Recomended That 6volt Coils Are Used.